This delightful Alpine style hotel has a warm ambiance, priding itself on excellent customer service. The lounge area has a welcoming fireplace and comfy sofas to relax in and a sunny terrace with views over the mountains. The hotel has a cosy spa area with a sauna, Hammam, Jacuzzi and sensorial showers open all day long with no extra charge (children under 12 yrs not allowed) and also offers a range of treatments payable in resort. You will enjoy an extensive breakfast buffet each morning and there is free afternoon tea with a choice of delicious cakes, pastries and tarts offered daily. Half board is obligatory during high season but with the restaurant serving good French and regional Savoyarde dishes and with family flexibility in mind offering early children’s teas we highly recommend this option. Moreover during the festive period; Christmas and New Year Gala Dinners are included. Meribel Mottaret. Situated in the heart of this awesome ski area, experienced skiers are able to ski directly to the lifts linking you towards Val Thorens, Les Menuires and Courchevel. It is close to the nursery slopes and the ski school meeting point and opens out on to the town square with all the main shops, bars and restaurants on your doorstep. There are 44 Alpine styled rooms at the Alpen Ruitor. All rooms have double or twin beds with a balcony. 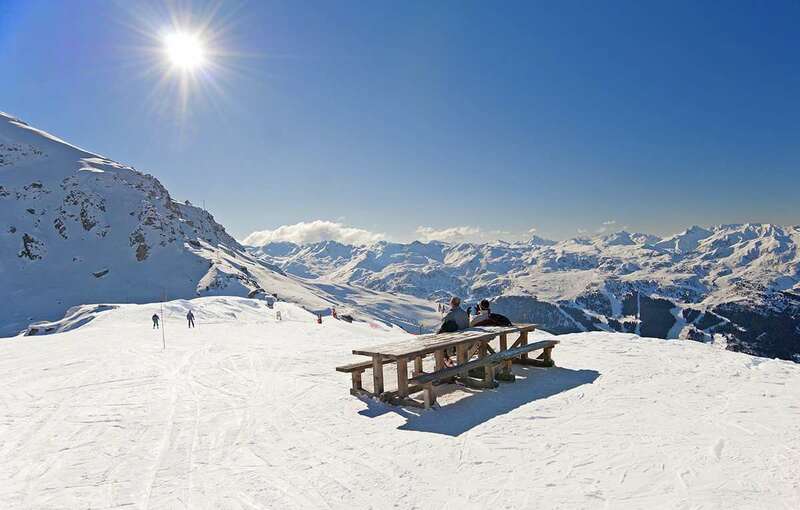 You can choose from a view overlooking Meribel’s Valley or a ski slope and south-side view each with a supplement. All rooms have a bath tub and some have standing showers. Each room has a satellite TV and safe.